If you are a new young adult librarian or an experienced librarian with little time to plan and execute programs for teens, this book is for you! For each month in the calendar year, two or three programs popular with teens are presented with instructions, sample flyers, letters, and checklists. From simple programs such as a candy raffle to more complex programs such as a mystery night, librarians can keep their teen calendar full of activities with a minimum of effort. 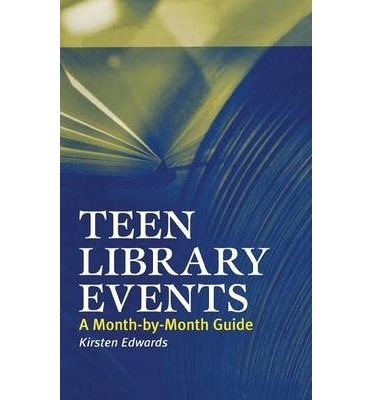 Programs that tie into both school events and national events for teens are included as well as those that can be presented at an individual library. Suggestions for programs range from a poetry contest to a summer job program. Instructions for ongoing procedures for soliciting teens' opinions are provided: a monthly question board, candy raffle, starting and running a Teen Advisory Board and so on. Basic skills for all YA librarians are emphasized in each of the programs; these skills include booktalking, working with the schools, and marketing your programs within the library and to the community. By creating variations in each of the programs, young adult librarians will have a wealth of ideas in this book to keep their YA program calendar filled for years to come.